I began to realise the power of Ms Gabaldon’s storytelling to attract visitors to Edinburgh when, back in 2013, Craigwell Cottage hosted the author and chef, Theresa Carle Sanders, known for cooking her way through the stories in her Outlander Kitchen. If you’re also a fan of the Outlander books, you may guess that, as I live in Edinburgh, I have a particular fondness for the sections of the story which are set in our home city. 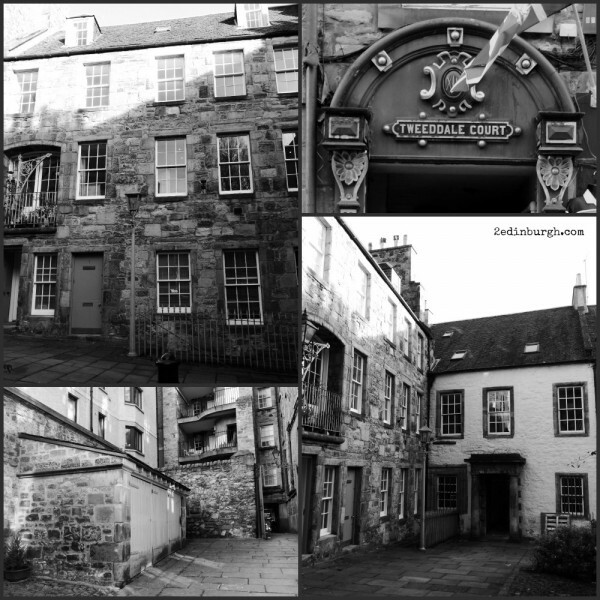 In particular, Voyager Part 6 where Claire goes in search of one Alexander Malcolm, Printer, of Carfax Close in Edinburgh. So, although I’ve walked the Royal Mile many, many times, I re-read this section closely to see what clues there were to the location of the scenes set in the Canongate and High Street. Having checked the maps, I ventured out with my camera to see what I could find. In Craigwell Cottage, we have a copy of a map dated 1765 (originally 1742) in which the Closes (alleyways) of Edinburgh are noted – it’s by William Edgar, Architect, and we bought our copy from the Carson Clark Gallery which is now relocated to 34 Northumberland Street Edinburgh EH3 6LS . On the map, Mr Edgar notes that there are 97 closes within the City Wall, plus 121 within the Town Wall, together with 76 within the Canongate, making 294. Adding all the Streets, Wynds, Courts, Closes etc within the City and Suburbs of Edinburgh he reaches the grand total of 329. At this point in history, Edinburgh is bursting at the seams and the pressure is on to create the New Town. Indeed, in 1767, just before the time where our story is set, the final plans are agreed for James Craig’s plan of the New Town of Edinburgh. 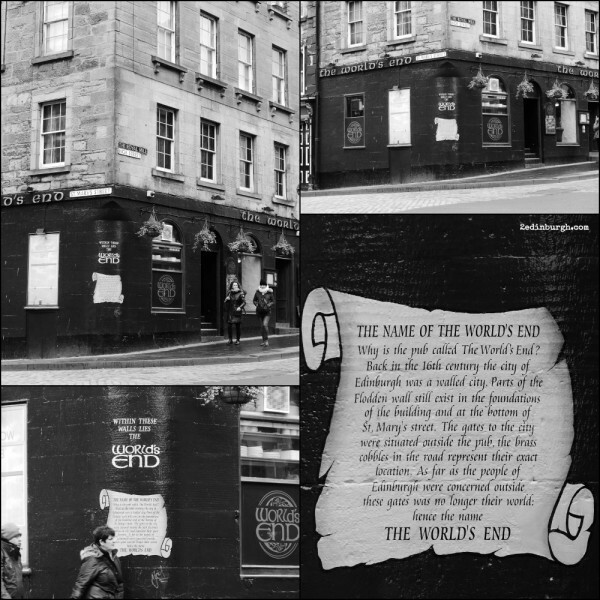 In Voyager, Claire is heading to Edinburgh around the end of the 1760’s – so I started by looking for some clues to see what you might find from this period. A helpful document on-line from Edinburgh City Council lists the major buildings which exist from pre-1750s Edinburgh. 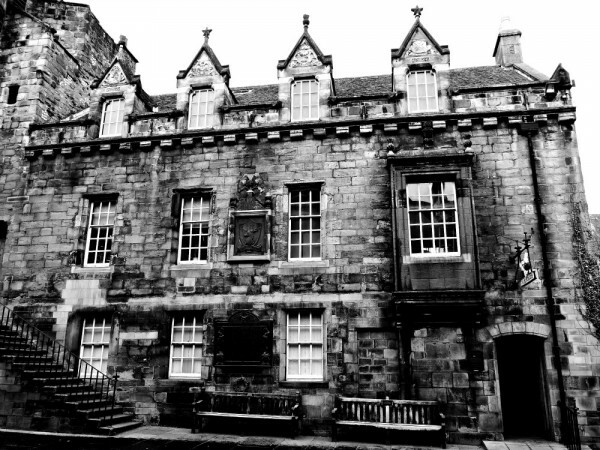 As I wander up the Canongate, I recall that a description of the location of Madame Jeanne’s establishment referenced the church – “The building Jamie led us to was discreetly hidden down a small close just above the Kirk of the Canongate, perhaps a quarter mile above Holyrood Palace.” (Diana Gabaldon – Voyager, Chapter 25). 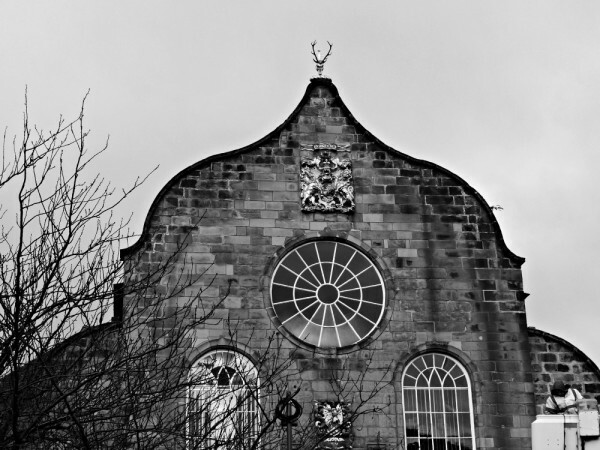 The building was constructed between 1688 and 1690, and has many Royal connections – which you can read about in the history of Canongate Parish Church. Continuing up the gently sloping Royal Mile, the Canongate Tolbooth now houses Scotland’s People Centre, and is even older than the Kirk, dating from the 16th Century. Heading up to the intersection where St Mary’s Street/Jeffrey Street crosses the Royal Mile, I reflect on the fact that this used to be where the City of Edinburgh ended and the Canongate – a separate burgh – began, and wonder about the Netherbow Port which was a giant tolbooth where dues were collected for passing in and out of the city. However, a quick search for information about the Netherbow Port confirms that as Claire was looking for Jamie in the late 1760s, the Netherbow had gone as it was demolished in 1764. Further clues in Chapter 24 – Claire says “Panting like an escaped pickpocket, I stopped for breath half-way up the hill. There was a public fountain here, and I sat down on the rim to catch my breath.” I think that she may have been rather over-excited, as the hill isn’t really that steep! When she asks the way to the printer’s shop – “Oh, aye, mum – just down the way and to your left. Carfax Close.” and “The low, dark opening to Carfax Close yawned just ahead, across the expanse of the Royal Mile.” Of course, Carfax Close is an invention, an imagined close, but there are a couple which are worthy of exploration nearby which will give you an idea of the printing and publishing heritage of Edinburgh, and which are worth investigating as you may find something surprising! But first, I cross St Mary’s Street (previously known as St Mary’s Wynd) and take a look at a couple of things – the brass insets on the cobbles which mark the previous location of the Netherbow Port, and the story of the World’s End Pub which features a little later in the story. 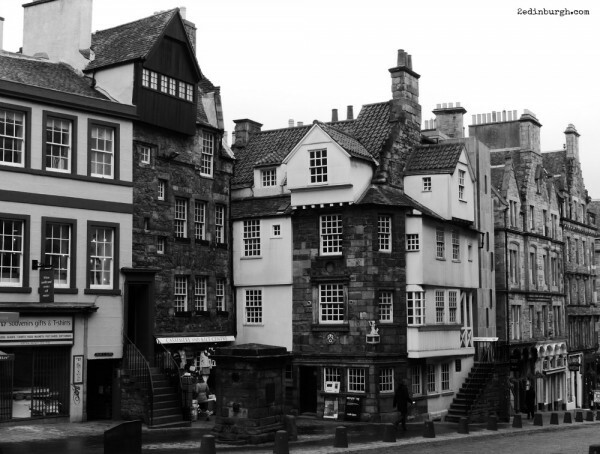 The two closes which I’d urge you to explore if you’re on this journey too are: Tweeddale Court (on the left of the Royal Mile if heading uphill from the World’s End), and Trunk’s Close (on the right of the Royal Mile just past the Storytelling Centre and John Knox’s House). 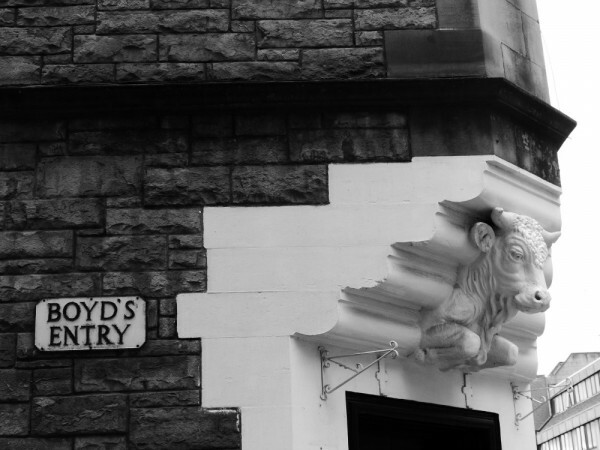 Tweedale Court still houses businesses which are involved in printing and publishing – being the home of The List and Canongate Books. Take a wander down the close and see for yourself. The photo in the bottom left of the set about Tweedale Court contains a curiosity. 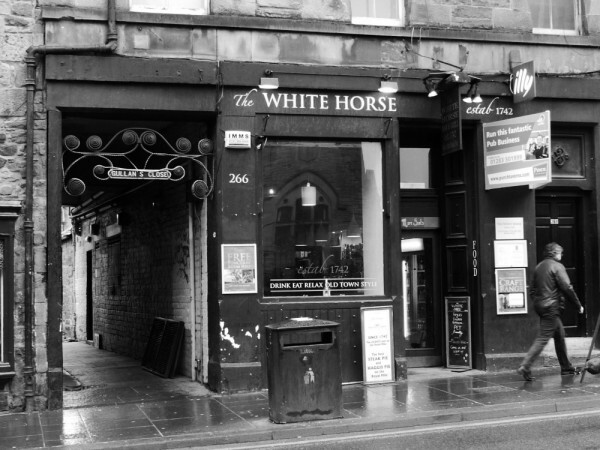 I was looking at the excellent Edinburgh World Heritage site for more information about the vicinity of the Netherbow and found their audio podcast about this neighbourhood. It’s worth a listen to find out that this stone structure, which I’d taken to be a finely-wrought bin-store, is in fact an old store for sedan chairs. Just to the left of the steps in front of Moubray House is the entrance to Trunk’s Close. I hope you’ll take a wander round the Royal Mile in Edinburgh’s City of Literature, on your own hunt for your favourite book locations, as I did with Outlander Voyager. Having explored the closes around the Royal Mile and discovered a Sedan Chair Garage, I headed off to The National Museum of Scotland the following day as I remembered that there was a real sedan chair there, as well as many Jacobite artefacts worthy of a look. 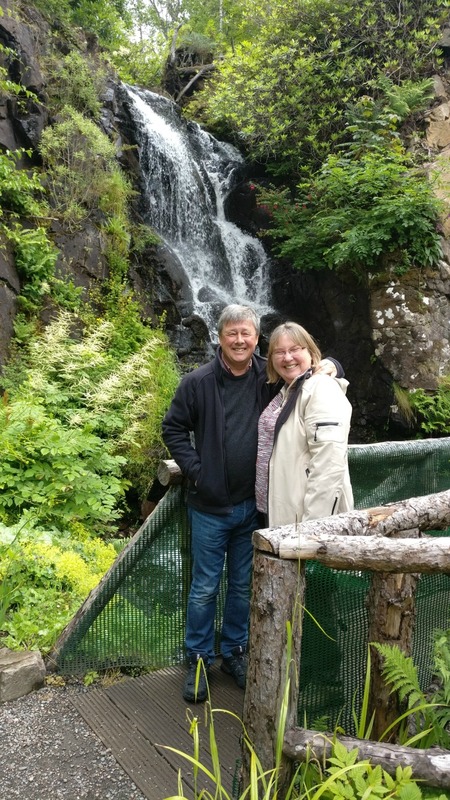 If you’re looking for somewhere to base your explorations of Edinburgh, you can read Theresa’s review of her stay at Craigwell Cottage on Google Maps, and book at Craigwell Cottage by heading here. 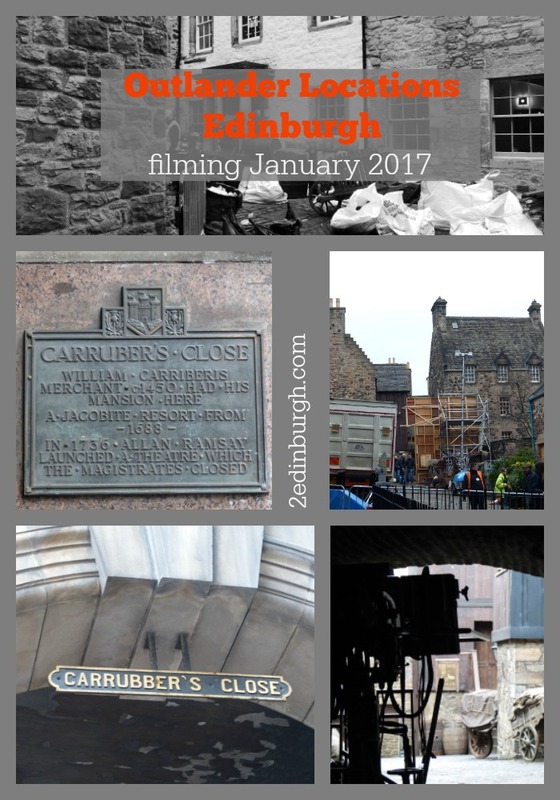 Having written the above post in 2016, I was delighted to find that in January 2017 the Outlander-Starz team arrived in our neighbourhood – the lower sections of the Royal Mile around the Canongate and High Street. I spotted some film-set building going on when I was prevented from cutting through Bakehouse Close on my way to Tesco! 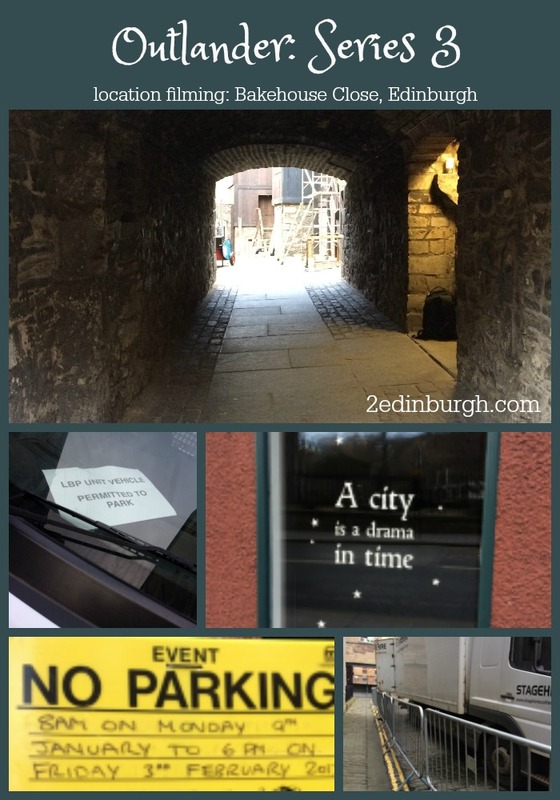 For a couple of days the Royal Mile was a-buzz with the comings and goings of the film crew, cast members and stars! We’re looking forward even more to the release of Series 3, and in the meantime will be back reading Diana Gabaldon’s Voyager. Taking the photos in black and white works so well. Makes me want to come back to Edinburgh – some of my ancestors were from there and I did come up many years ago to visit the Records Office.